If your property is a victim of the infestation of white ants, then you should not make delays in taking up treatment plans against the creepy pests. White ants and ants are look-alike insect pests. Some people mistake white ants for ants. Therefore, people do not pay importance to treat white ants as soon as the infestation takes place. 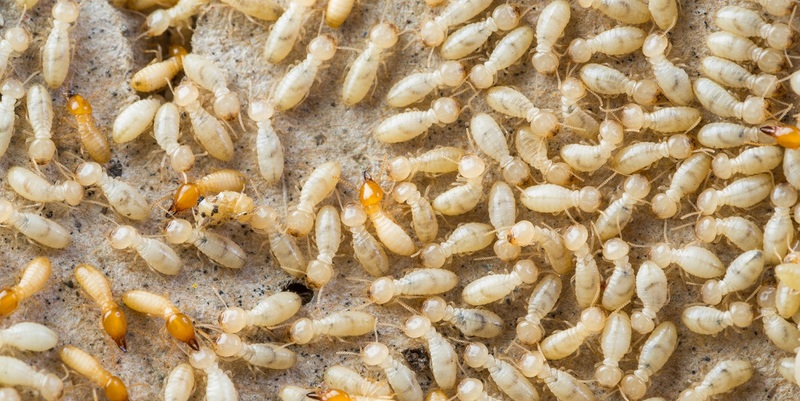 The more delay you make in exterminating white ant critters from your place, the more infestation problems will start spreading all over your surroundings. White ants have a destructive habit of digging up your wooden items and living inside them. Not only the wooden items are at stake, but also the walls, ceilings and paper-based items are equally at stake; as these are the nesting sites of white ants. It is indeed a tricky task to kill white ants and exterminate the infestation points. The best suggestion is to get assistance from our pest control company to treat your territory with our white ant control Perth solutions. As we are the most recommended pest control company in Perth, we will deal with white ant infestation carefully and professionally. It becomes a hectic job for a homeowner to call a pest controller after the infestation has already occurred. It is best to give a ring to the pest controller at the initial stage of invasion of white ants in your house. Whether the malicious insect pests have built their infested points in your house or in commercial sectors, we will drive in your territory to implement our inspection plans. The inspection of every property in Perth should be followed, as it will help you detect the level of infestation. All you need to do is to sign up with our inspection plans and we will come to inspect your property as per the contract. You do not have to spend half of your money on our treatments. You can save your money and at the same time, you can reap the benefits of our services by expending a standard price. All our white ant control services can be availed at a standard rate from our pest control company. Our white ant treatment Perth plans are different from other pest control companies. We perform a comprehensive treatment plan in your zone which consist of an intensive inspection throughout your territory and the use of dust solutions, gels, surface sprays and baits at the necessary infestation sites. Our treatments will be implemented by our highly skilled professionals. No matter how deep or inaccessible the breeding points are, our pest officers will reveal those nesting sites and will exterminate white ants in a flash.